I’m pleased to announce that we’ve been selected by issuu to participate in an early version of their new digital sales feature. Our readers can now preview and buy access to our magazine on issuu.com. We are big fans of issuu, the world’s largest digital publishing and discovery platform, because of the beautiful, mobile-ready reading experience it offers our fans. 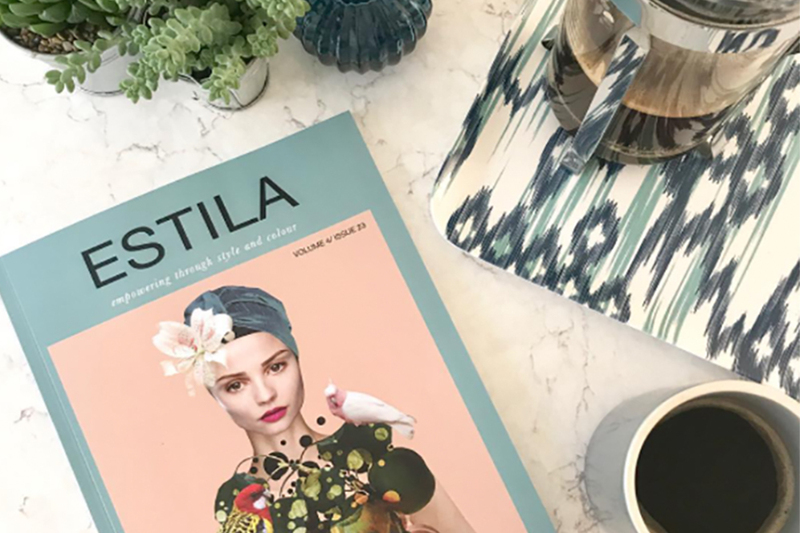 I’m really excited to start selling digital access to Estila on issuu because the added revenue will make it easier for us to up our game and bring you even more quality content. We hope you’ll continue supporting the work we do by purchasing access to our Volume 4: Miss Tropical for just 2.99USD. What’s inside the issue? My starting point for this volume was the stunning “Miss Tropical” artwork by Peggy Wolf. Peggy is a self-taught illustrator and artist, who bridges the gap between art and fashion in a very original way. Inspired by the tropical vibe, we explore interiors designed by Kim Stephen and also visit a home designed by a British blogger and stylist Melanie Lissack. In fashion we discover great emerging designers including Dolce Roopa, Tramp In Disguise and Alexandra Miro. Our business section focuses on following your intuition and how to create consistency for your brand.